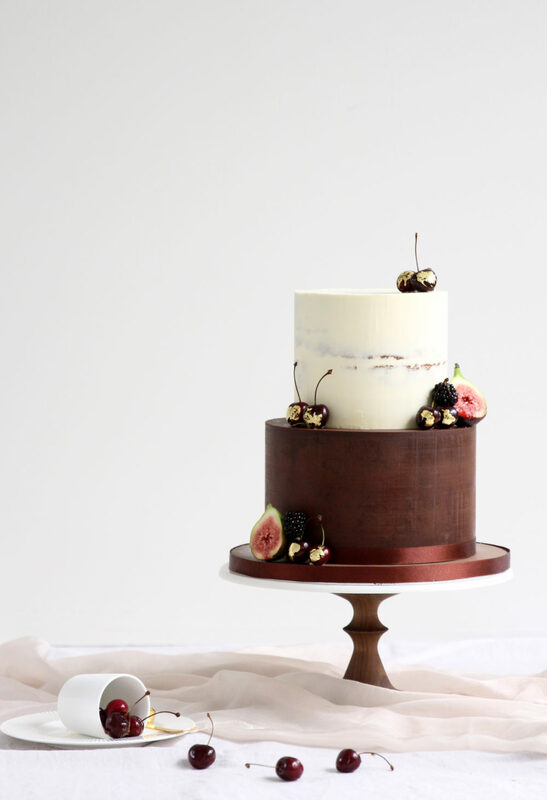 Our take on the trend for natural cake finishes. Chocolate Fudge cake coated with a sharp chocolate ganache was topped with a ‘semi-naked’ Vanilla cake where the layers just peeped through. Gilded cherries add our signature touch of glamour!